When diamonds are formed, deep underground and under extreme pressure and heat, imperfections in the crystal structure can form and mineral impurities become trapped inside the stone. The size of these impurities and imperfections determine the clarity grading of a diamond. Diamonds without such impurities are very rare. The grading scale starts from Flawless / Internally Flawless (FL/IF), Very Very Slightly Included (VVS1/VVS2), Very Slightly Included (VS1/VS2), Slightly Included (SI1/SI2) to Included (I1, I2 and I3). 77 Diamonds does not sell diamonds below SI2 as they are not considered suitable for jewellery. 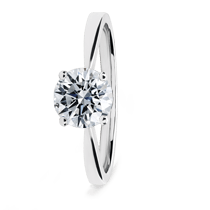 Generally, diamonds below a VS2 grading are likely to have visible inclusions to the naked eye however this is on a stone by stone basis. Internationally Flawless: These rare high clarity diamonds are 100% flawless inside the diamond with no blemishes or inclusions. Very Very Slightly Included 1: There will be one minor inclusion within a diamond of this grade but only visible under 20x magnification or more. Very Very Slightly Included 2: There will be minor inclusions within a diamond of this grade but only visible under 20x magnification or more. 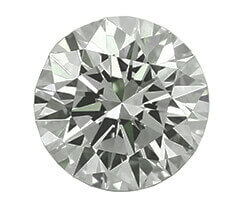 Very Slightly Included 1: Diamonds of this clarity will have several inclusions that are only visible with magnification of 10x but remain clean to the naked eye. Very Slightly Included 2: Diamonds of this clarity will have several groups of inclusion that are only visible with magnification of 10x. A small percentage of these are not eye clean. 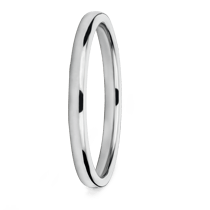 Slightly Included 1: Only 50% of diamonds of this clarity have no visible inclusions so it is important your selected diamond is eye clean. Slightly Included : 85% of diamonds of this clarity have some form of visible inclusion or blemish to the naked eye. Included 1: Due to the high level of inclusions here, we do not recommended this clarity grade for diamond jewellery. 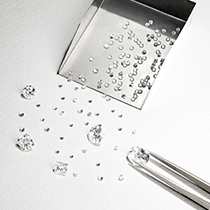 Although SI1 and SI2 are in general not eye clean, the impurities may be light in colour or scattered and so in up to 20% of cases, SI1 graded diamonds may appear to be eye clean. That number falls to just 5% for SI2s.